A timeless complement to any engagement ring, this 2mm split prong wedding band is available in.. This classic design is a staple of our collection. 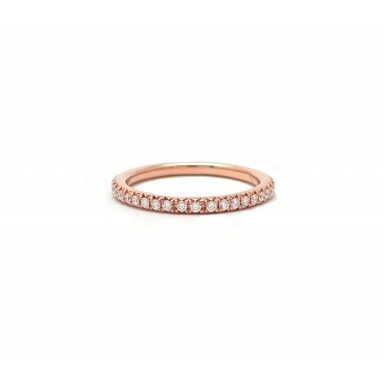 The wedding band can stand alone or complement an.. 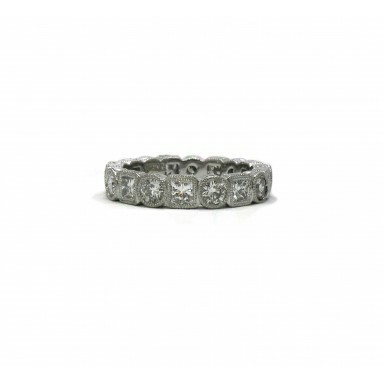 This wedding band features alternating segments of princess cut diamonds and round diamonds. Each st.. 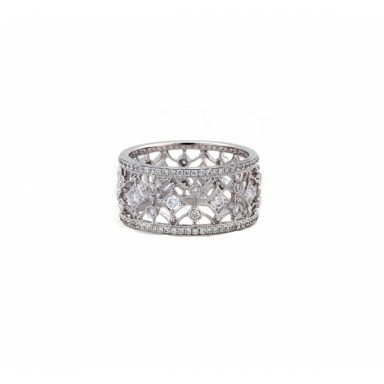 This wide filigree wedding band brings antique styling to today’s bride. The wide configuration make.. 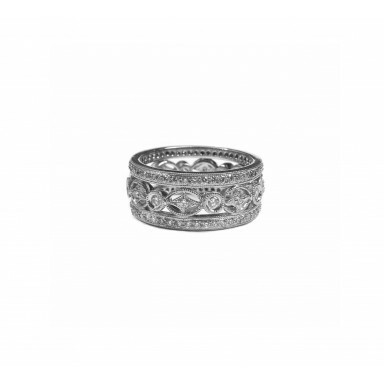 This exquisitely designed filigree wedding band brings old world charm and details to the modern bri.. 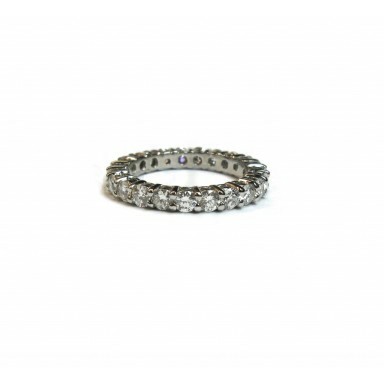 This uniquely designed band features both bezel set and bead set diamonds making it unusual and beau.. 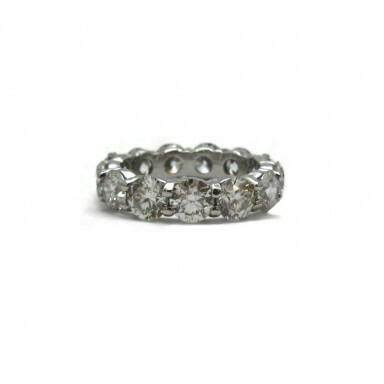 This four prong wedding band features 13 individually set 40pt diamonds. This is one of our most rob.. 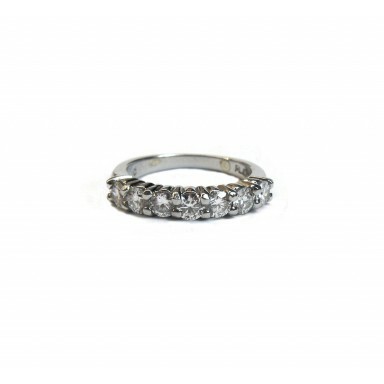 This magnificent wedding band contains almost 6ct of brilliant round diamonds. The classic shared pr.. 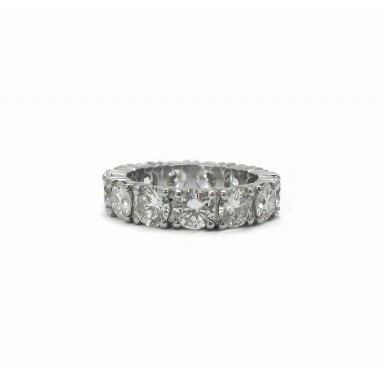 This classic shared prong wedding band features 15pt diamonds. 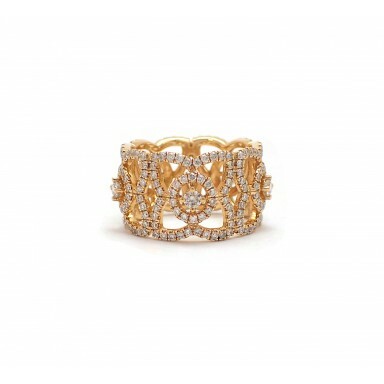 The halfway around design achiev..
Alone, this ring is sleek and stylish. With its matching companion, these rings are sure to make a b.. 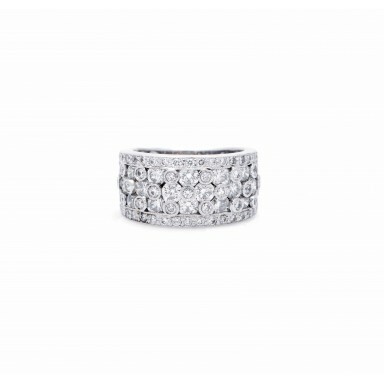 This pavé set wedding band is a classic wide style that is important enough to stand alone on your f.. 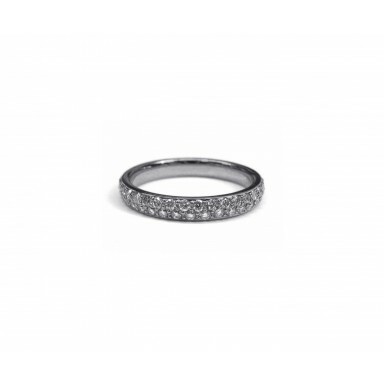 This two row pave wedding band is a perfect compliment to an engagement but is important enough to s.. 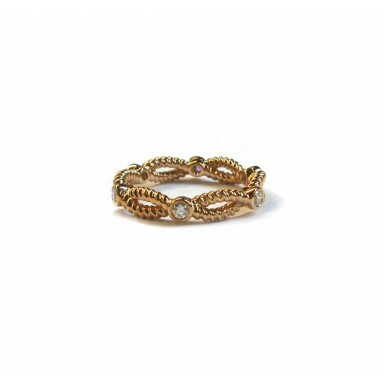 This contemporary versatile ring can be worn as a wedding band, right hand ring, or just a fun .. 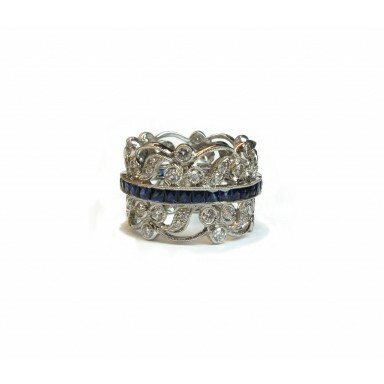 This elegant filigree white gold wedding band displays swirls of diamonds with a sapphire belt,..